State Institute of Educational Technology (SIET) Kerala is an autonomous institution working as a part of General education department, Government of Kerala. 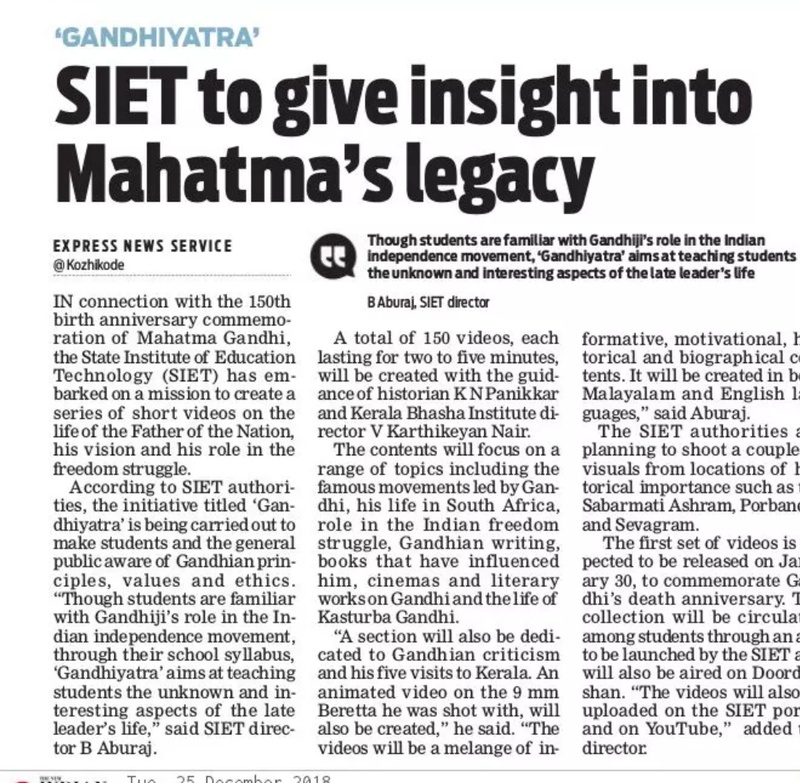 SIET Kerala is the one among the other seven SIET’s in the country. 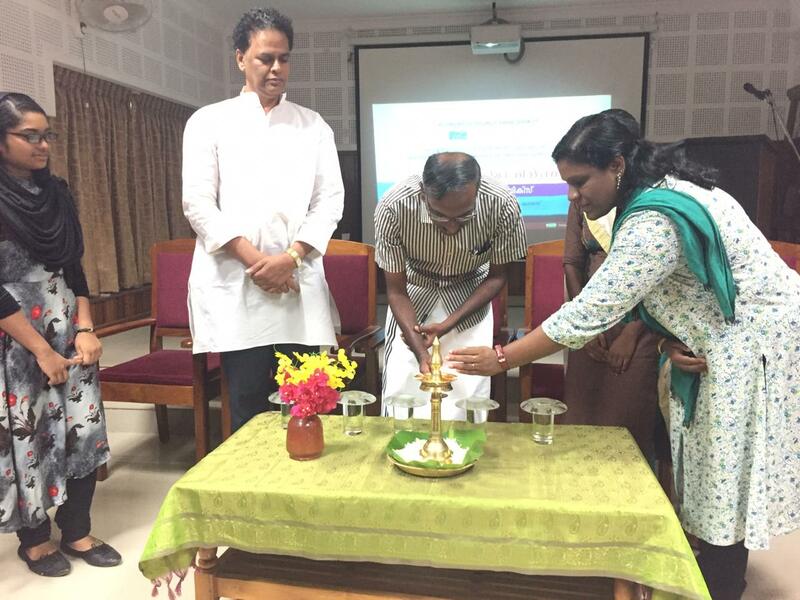 Department of education, Ministry of Human Resource, Government of India sanctioned the SIET for Kerala in the year 1998 and started functioning in 1999. The Rules and Regulations of the Institute are recognised by the State Cabinet. The Executive Committee, with the Minister for Education as Chairman, and the Secretary for General Education as the Vice Chairman, has 16 members in all. Day to day administration and general Management is carried out by a full time Director. 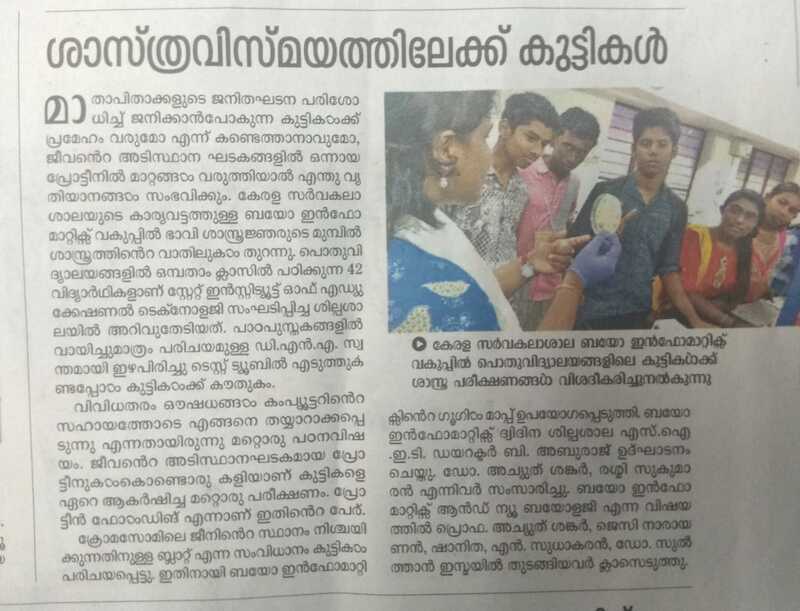 SIET in association with the department of Computational Biology & Bioinformatics, University of Kerala is conducting a residential workshop on Bioinformatics during 2019 February 26-27 for high school students.